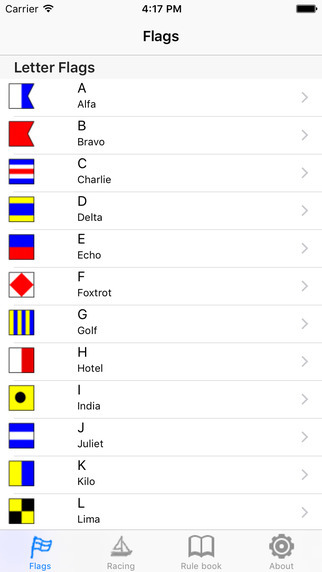 "iRegatta Flags" is an app for the iPhone that supports the active regatta sailor. 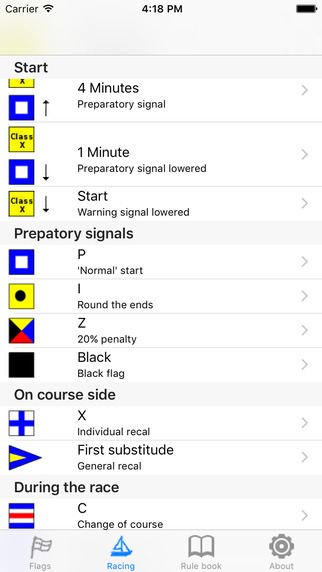 This is a collection of Maritime Signal Flags including a description of their meaning. But for a regatta sailor it's often more important associate a letter or number with a flag listed in the sailing instructions. 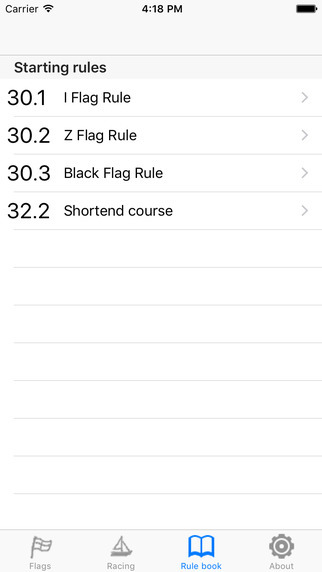 Also the usage of flags in starting procedures, during the race when the course is shortened og marks are moved is explained. Flags used for postponement or abandonment are also listed. 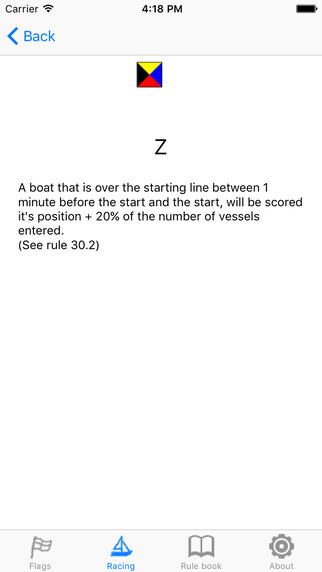 Together with this, the relevant paragraphs from the ISAF "Racing Rules of Sailing 2009-2012" are quoted, so you can read the exact rules your self.